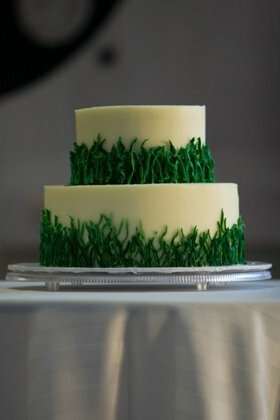 Our wedding was very unique to us and we chose vendors that fit our ideal to create a classic and fun wedding day. None of our vendors let us down. 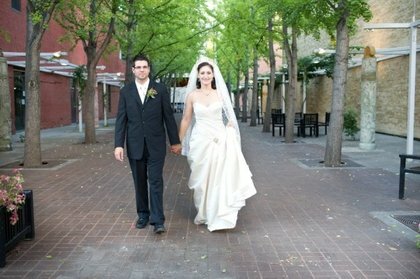 Our wedding happened to same day as President Clinton's visit. The City of Roanoke even contacted us to inform us of the event happening around the corner from our wedding. There were no troubles and in the end we were able to meet President Clinton and take a photograph with him right after our wedding. Now that's a memory that will last a lifetime! Tim and Sarah were great and our pictures are fabulous with a unique and artistic flair. 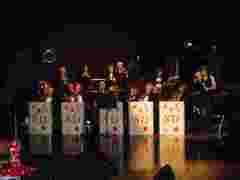 The Stardusters gave our reception a classic and upbeat feel with their mixture of jazz, big band and swing music. Comfort Cuisine's food was delicious and the whole catering staff was wonderful to work with. Their mini-desserts were also a hit. They also worked hard to gather all the rentals for us. 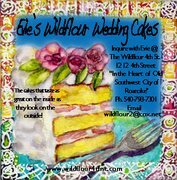 Wildflour's cakes are fabulous. We especially loved their coconut cake. Evie decorated the cake just to our liking without extra frills, but with depth in the color. Jane was the only florist I met with and she won we over with all her wonderful ideas. The flowers were well arranged. 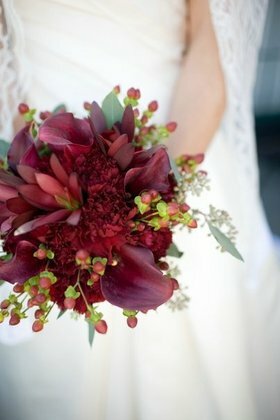 I would have hoped that the bouquets were larger, but I was not specific in my conversations and I couldn't argue with her very affordable prices. 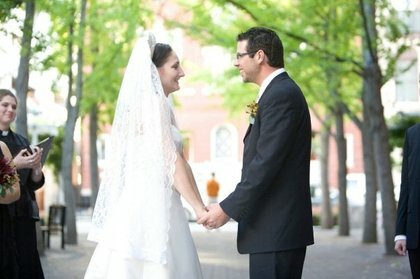 Century Plaza offered a quaint wedding ceremony site, despite it being located in the middle of downtown Roanoke. The O Winston Link Museum was a unique setting for our reception. The open floorplan allowed for mingling and the stairs along the window served as an additional gathering space for guests.